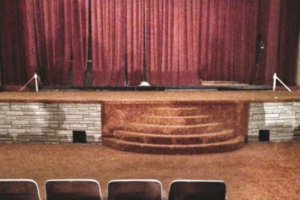 In the heart of Milwaukee’s Sherman Park neighborhood is an historic theatre. Once a thriving center for arts and entertainment, the building currently stands vacant. Now, community leaders are drumming up support to re-open it! For those of us who grew up in the area, the theater was a key part of our childhood experience. When I was little, I remember that during intermissions, a gentleman name Mac, who ran the theater, would have us get up on stage to take part in some sort of contest. I distinctly remember winning a contest that involved who could whistle first after eating a cracker. Silly, but such fun. When we became teenagers, friends all gathered there on Friday nights to meet up and give Mac a much harder time than when we were little. The area means a lot to me—it would be nice to give back some of those experiences to the kids who currently reside in the neighborhood. I have, as they say, “lived, worked, and played” in the Sherman Park neighborhood. 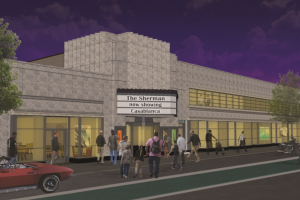 The Sherman Theatre is an icon to residents. Its revitalization will greatly enhance our city and community. As a leader of the revitalization effort, I am so up to this challenge—for myself, my family, and my neighbors.